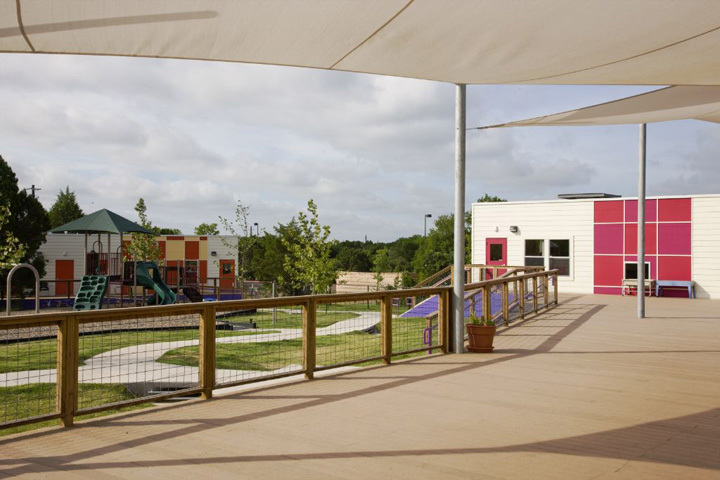 St. James’ Episcopal School shares a 22 acre site in East Austin with St. James’ Episcopal Church. 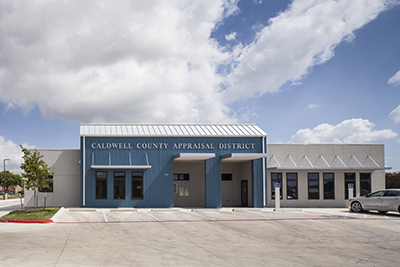 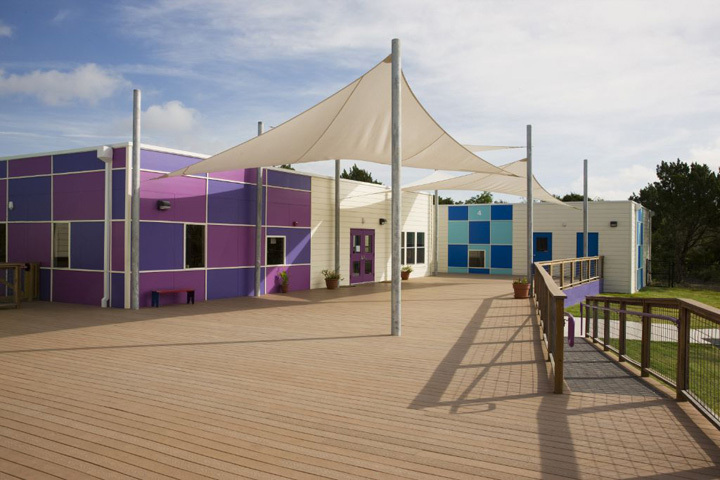 After their collaborative purchase of the property, we worked closely with school leaders as well as members of the church to create a master plan to allow the growth of both entities to happen easily and independently of one another on the same site, while still sharing some core facilities. 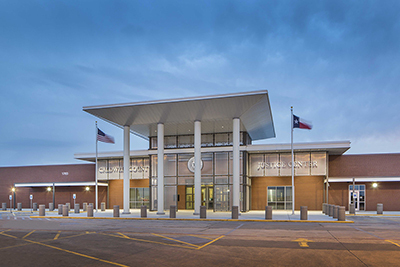 With close attention to their tight budget, we developed a master plan for facilities to serve pre-k through 8th grade, complete with a gym, cafeteria, and large library. 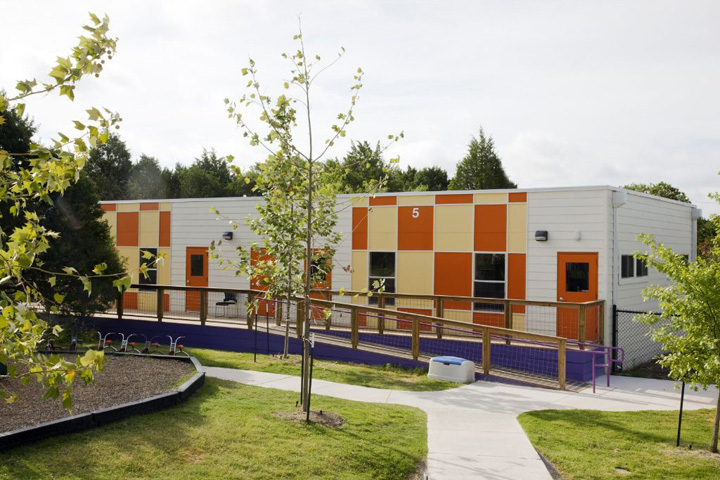 Phase one of the school will serve children ages 2 ½ to 5 in a Montessori based curriculum. 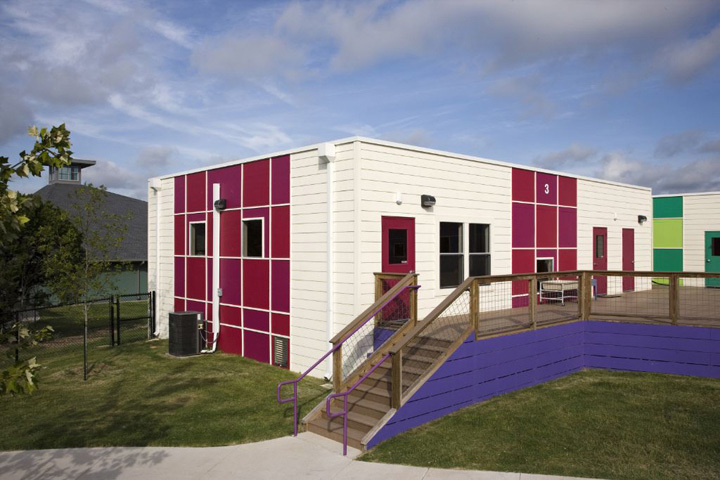 To give the school the most cost effective solution to meet their needs, modular buildings were arranged in a campus setting around a large playground. 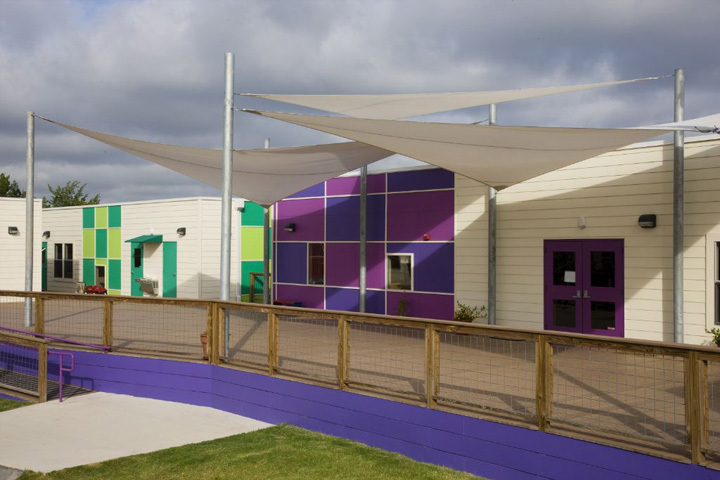 Facilities include 5 large classrooms, administration areas, a multipurpose gathering space/ library, a large covered outdoor space, a playground and tricycle track. 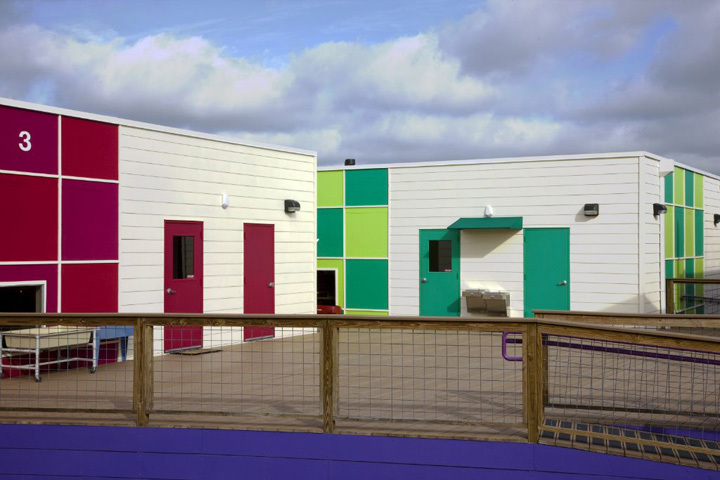 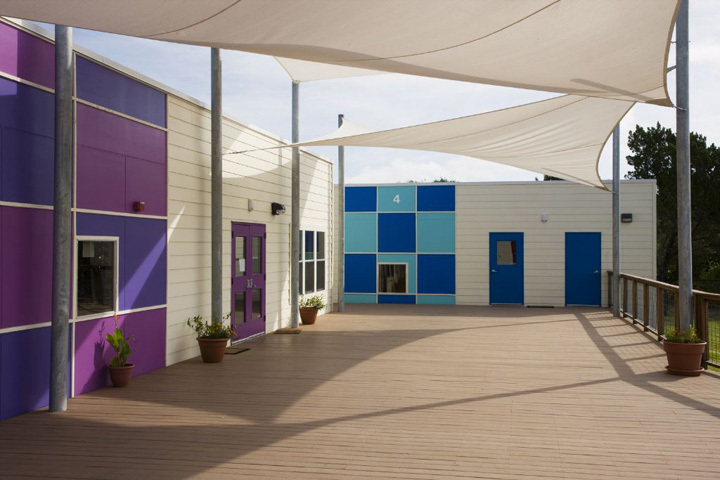 The factory-made buildings were clad on site and brightly colored to create a vibrant and dynamic setting for young children. 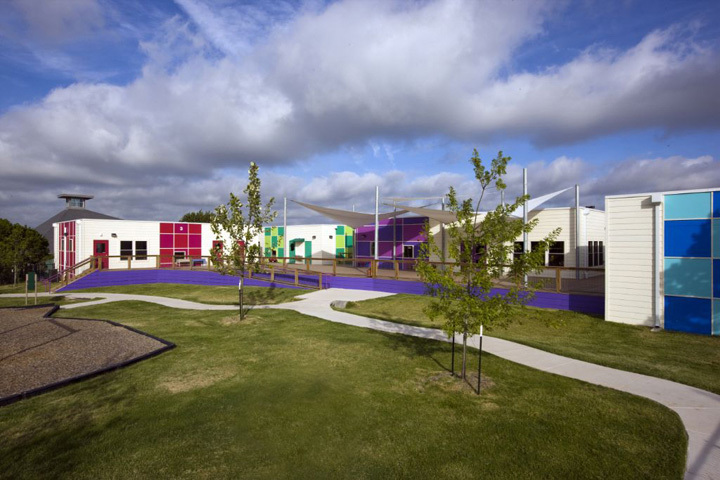 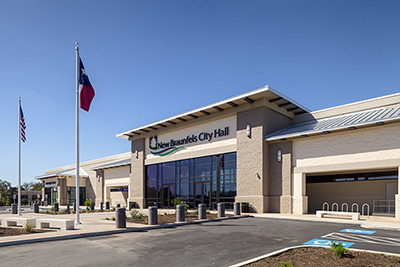 Construction was completed in September of 2007.